Around the world, businesses and organizations are using video surveillance by installing high definition cameras. Moreover, the associated workflow applications are requiring longer periods of data retention and faster analyses. Further acceleration of generated data is due to increased safety and security needs, like body & dash-cam usage and permanent monitoring of sites and assets. 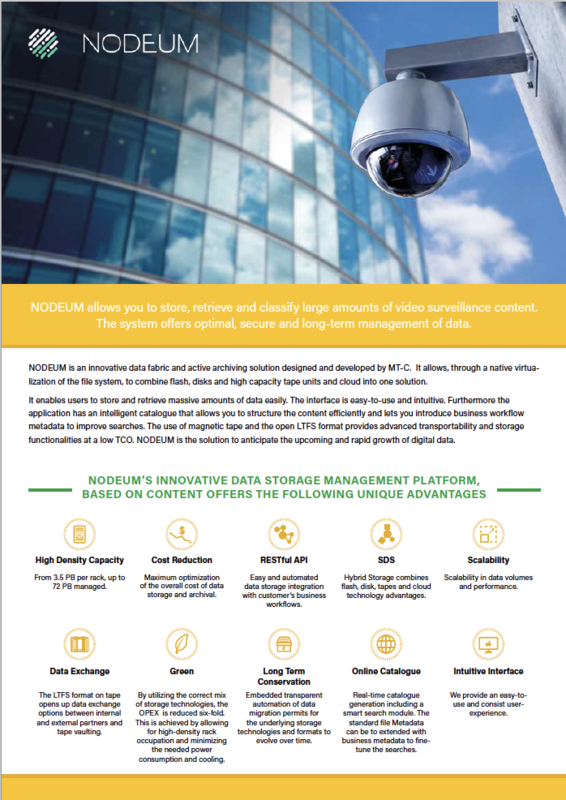 In reading this document, you can learn how Nodeum responds to this explosive demand for large-scale storage and archival with a highly innovative solution that has been recommended by experts and analysts alike.